Hellenic Bank, the second largest bank in Cyprus, has chosen the Backbase Omnichannel Banking Platform for its banking systems upgrade. The revamp will start with the public domain landing pages and web content projects, followed by mobile banking. In fact, its mobile banking app was “highly commended” in the Banking Technology Awards 2016. Natasha Kyprianides, head of digital banking and innovation at Hellenic Bank, says it chose Backbase because it is “widely acknowledged by the industry as leaders in developing omnichannel banking solutions; and in creating a seamless experience”. Hellenic Bank began operating in 1976 and has a network of over 60 branches and €7.09 billion assets under management. It has just under 1,500 employees. Backbase is continuing the momentum it gained from last year. Metro Bank launched a new online banking platform for its commercial banking customers. It is based on the Backbase Onmichannel Banking Platform. AmBank will be launching “a new phase of mobile banking very soon”, according to the bank’s new group CEO, Dato’ Sulaiman Mohd Tahir. The mobile solution is part of the bank’s new digital banking platform, supplied by Backbase. 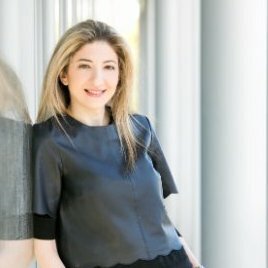 VeChain Foundation, Cream and Invest Cyprus will establish a blockchain framework for Cyprus.